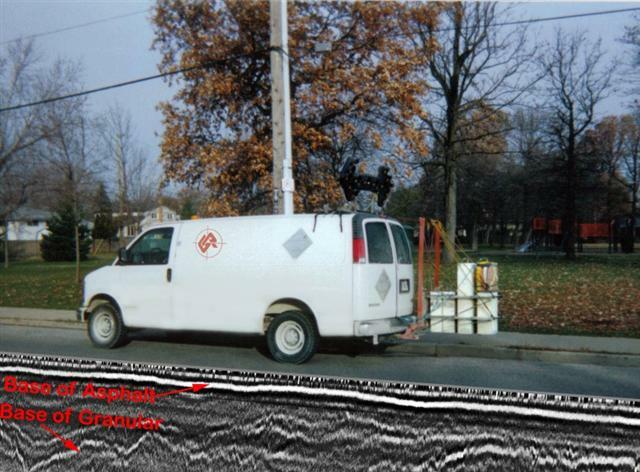 Roads and bridges can be scanned in an efficient and non-destructive manner using the latest in geophysical methods. Georadar, as applied to the evaluation of road surfaces, allows the efficient and precise recording of road layer thicknesses. Results are entirely digital, and hence this information can easily be imported into a road management software suite for further analysis. Accurate road repair methods can be very difficult when information regarding the thickness and quantity of the existing surface is lacking. 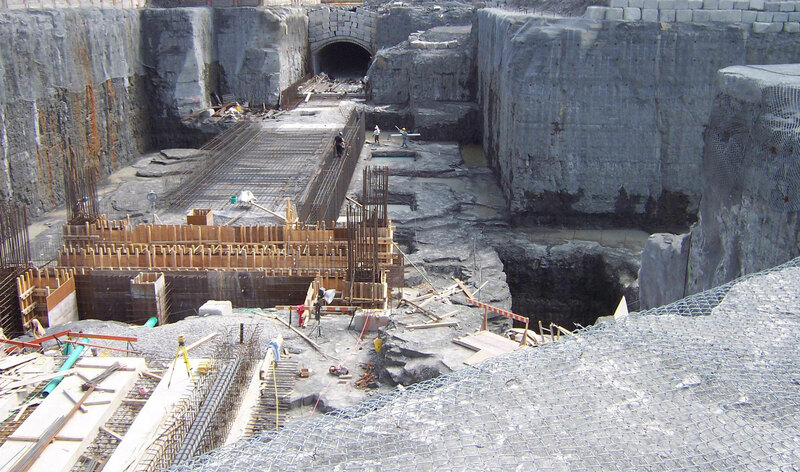 Examination of the layer thicknesses may help resolving conflicts between clients and contractors. 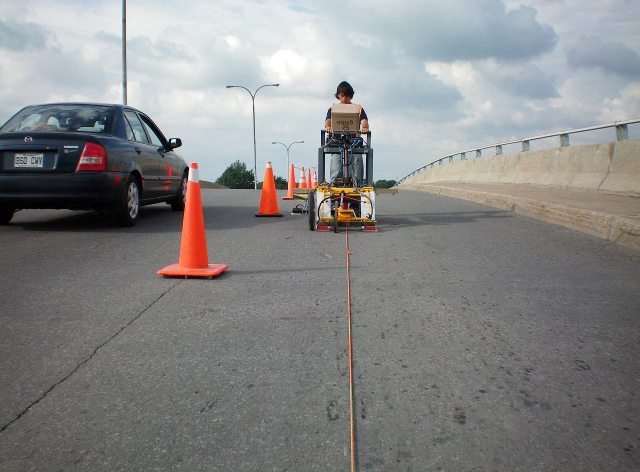 Geophysics GPR's Road Radar system obtains high-resolution asphalt and granular thickness data at sub-meter intervals all collected non-intrusively, at speeds of up to 80 km/hr. Geophysics GPR's analysis of bridges decks system uses ground geophysics radar technology to generate pseudo-cross-sections of the bridge deck. Variation in rebar spacing and depth.